As I close in on my quest to visit every National Park in the United States, there are still a few I have yet to visit. Today’s guest, Kay Rodriguez, gives us a taste of one of the lesser visited national parks in the US: Big Bend National Park, Texas. Everyone knows the stereotypes about Texas. The endless, dusty roads littered with tumbleweeds and the scrap metal remains of industrial vehicles. The decaying buildings and ghost towns covered in reddish-brown soot. Nothingness. Lots of empty nothingness. 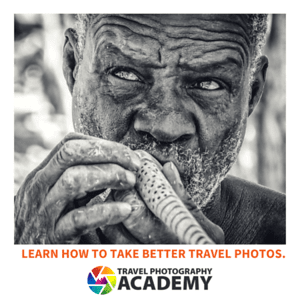 In the middle of those dusty roads, on the border of the United States and Mexico, is a breathtaking outcropping of mountains, canyons, and the famed Rio Grande. Perhaps the Texas stereotypes prove true somewhere, but Big Bend National Park is a different story. The mountains of Big Bend have a sinister reputation among the natives of the area. Legend has it that the Chisos Mountains (‘Ghost Mountains’ in the regional indigenous language) are filled with spirits of those who roamed the land centuries ago in pursuit of food and water. It’s easy to believe in these stories, especially in the dark of the night, when the only sounds permeating the silence of the night are the howls of the coyotes and the wind rustling through the brush. It was with a little bit of wonder, and a little bit of fear, that my boyfriend and I decided to head to Big Bend National Park, one of two national parks in Texas, on an early spring weekend in March. We touched down in Midland, Texas around 11 PM and picked up our rental car, a dinged up white sedan with no four-wheel drive. Before taking off, we stopped at a gas station with a flickering neon sign and picked up a few things – some energy drinks for the long drive, a few gallons of water, some sandwiches, and a can of pickles. It would be a long night ahead. Eventually, the strip malls and fluorescent lights of suburban Texas gave way to miles and miles of open road. I pressed my face against the passenger window, my breath fogging the glass, and watched the faint silhouettes of the oil rigs (“nodding donkeys” in Texas slang) move slowly, rhythmically over the horizon. After a while, it seemed like not another human soul was on the road. But there were the eyes. We didn’t notice it at first, but once we were surrounded by the complete West Texas darkness, the eyes came into full view. You see, most of Big Bend’s wildlife is nocturnal, and their eyes speckled the sides of the roads as we drove, reflecting off our headlights. As soon as I’d doze off a little bit in the passenger seat, the car would screech to life as my boyfriend, our fearless driver, slammed on the brakes, a skittish deer or coyote scampering off into the distance. I’d wake up, heart racing, eyes wide. It was a humbling and harrowing feeling to think that, in our little white sedan, the darkness and the rugged wilderness practically swallowed us whole. The long stretches of dark nothingness continued, but eventually, we started to make out the faint silhouettes of the Chisos Mountains with the backdrop of thousands of stars. Hello, Big Bend National Park. We spend the night in a small, locally-owned motel just outside of the park, with faux wood walls and maroon carpet. I chuckled to myself as I realized this scene could have been straight out of No Country for Old Men. When dawn started to break outside our dusty curtains, we arose and drove the last few miles to Big Bend. Once we arrived at the park, we set up our tent in the Chisos Basin Campground, located in the middle of the mountains. The area looked somewhat extraterrestrial, with its eerie reddish rock formations and moon-like valleys. To orient ourselves, we spent most of our first day in the park simply driving around the park, shielding ourselves from the mid-day sun. As the sun began to head for the horizon, we decided to check out one of the many day hikes in Big Bend, Lost Mine Trail. On our way up to the viewpoint of Lost Mine Trail, we caught one of the most spectacular panoramas of the park. Night was beginning to fall, and as the sun sank below the horizon, it colored the landscape a warm, toasted golden color. As I scanned the area, the only other people atop this popular park overlook were a couple sitting on a ledge, whispering to each other and laughing as the golden light licked their faces. 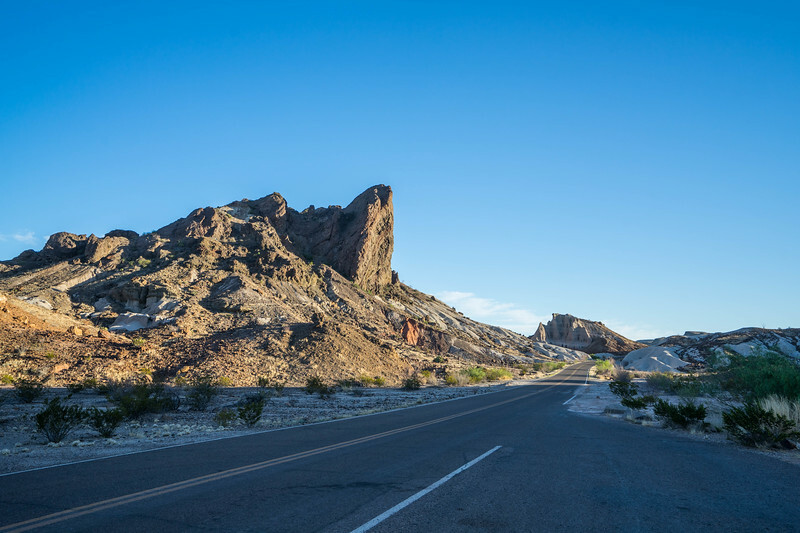 Although over 350,000 people visit the park each year, Big Bend feels desolate. While the campsites in the park were nearly full during our stay, we noticed there weren’t many other people on the roads or the hiking trails. At times it was unnerving, but the sense of isolation was a refreshing escape from the busy streets and the standstill traffic of the bustling city where we lived. What visitors to Big Bend often don’t realize is that it borders another sister park in Mexico – Parque Nacional Cañon de Santa Elena – across the Rio Grande. Besides the river itself, the divider between the two parks is the majestic Santa Elena Canyon. There are many overlooks to the canyon as well as hiking trails within it, and exploring the area could take up an entire day if you have the time. Because the temperatures climb so high during midday in Big Bend, we opted to explore Santa Elena Canyon in the early morning. In the quiet of dawn, we found a perch by an overlook and waited for the sun to arrive. Sure enough, when the morning finally came, the canyon’s steep walls lit up bright and yellow-orange. The mixture of the deep blues of night set the backdrop to the warmth of the sun on the canyon’s rusty-brown walls and the greens of the vegetation below. It was a real sensory experience. Across the Rio Grande, there is also a small town, Boquillas del Carmen, to explore. 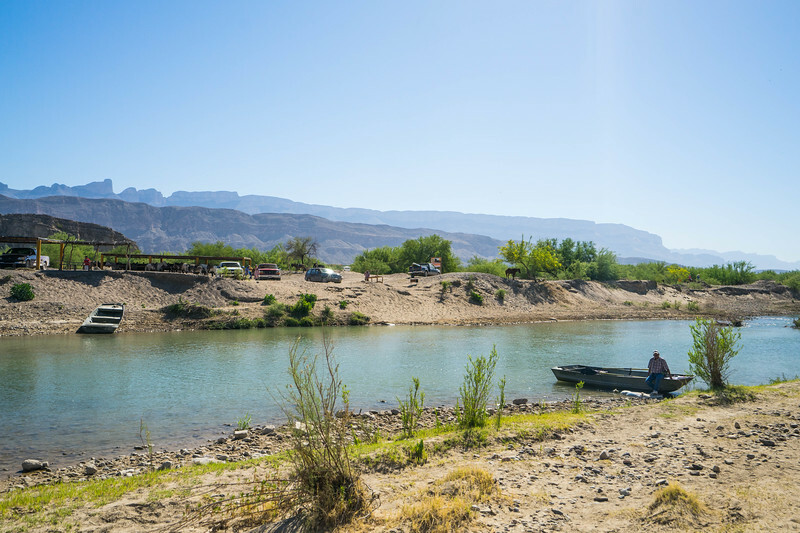 Visitors curious about experiencing the Mexican side of the park can do so by crossing the Rio Grande at the Boquillas river crossing. While most people (ourselves included) opt to take the “International Ferry,” there’s also the option to wade or swim. Either way, you’ll need a passport to be admitted into the border crossing. I’d always imagined the Rio Grande to be – true to its name – a big river. Upon arrival at the border crossing, what we found was a calm, meandering waterway with a few metal rowboats. These rowboats, we learned, were the international ferries. Quizzically, we handed our rower two crumpled $5 bills and made our way to Boquillas del Carmen. We didn’t stay long, but what we found was a small, charming town full of artisan shops and eateries. There were also many vendors offering donkey rides, to where I wasn’t quite clear. For the plate of Mexican snacks and a chance to wander around the town for a while, the strange river crossing was worth it. Unlike many other national parks, where Twilight is a time to retire to your tent, Big Bend’s night activities are just as thrilling as the daytime. 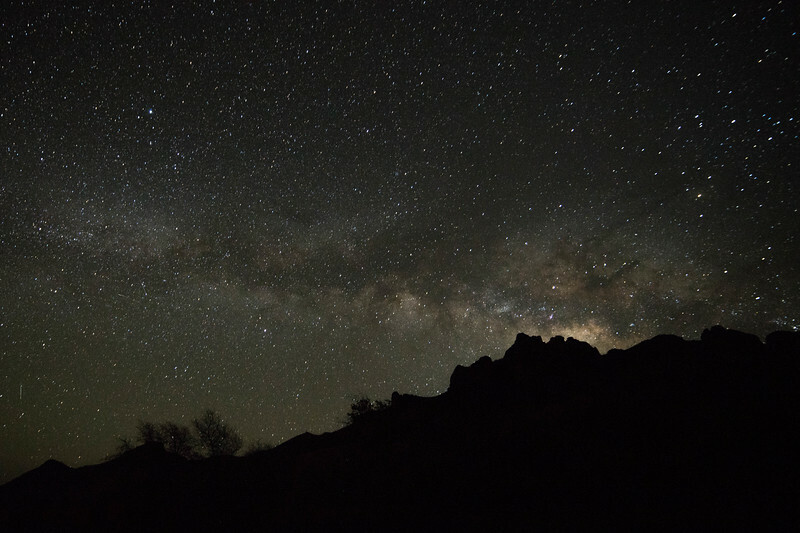 Designated as an International Dark Sky Park, Big Bend’s wide, flat expanses and arid climate make for some pretty incredible stargazing. In contrast with our smoggy, urban home, the chance to see thousands of stars shining clearly in the sky was one we couldn’t pass up. Bundled up in our warm jackets and sleeping bags, we drove on one of the roads leading into the park, parking in a wide shoulder and admiring the twinkling sky. Often, as we were gazing upward in complete silence, we would hear the piercing cry of a coyote in the distance. When our eyes would start to get heavy, these sounds gave us the simultaneous jolts of terror and excitement that kept us awake throughout the night. The time of year you’re there will dictate what you can see in the sky. For us, we were able to get a pretty clear look at the Milky Way, many Northern Hemisphere constellations, and a few shooting stars. I had never had the chance to experience the Milky Way with my bare eyes before, so seeing this cloud-like mass of stars right above me was incredibly surreal. For hours we leaned on the side of the car, eyes turned upward, almost paralyzed in awe and wonder. 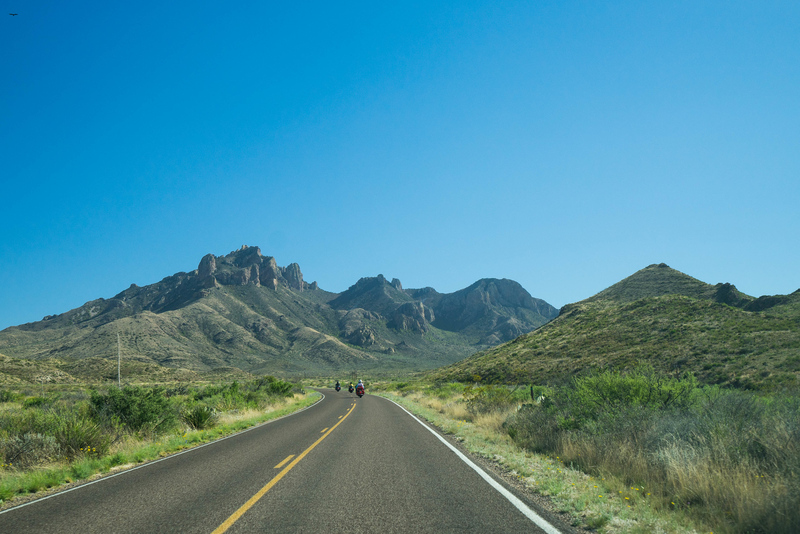 No matter where you’re coming from, traveling to Big Bend National Park requires significant driving time. Located on the United States-Mexico border, the nearest airport to the park is in Midland, Texas (MID), followed by El Paso, Texas (ELP). From either airport, the drive to the park can take anywhere from 4-5 hours. If you’re planning to stay in the park, be sure you’re adequately equipped with water and food – it can take a while to arrive at the nearest grocery store or supply shop. Also, for those of you hoping to cross over onto the Mexican side of the Rio Grande, you’ll need to bring your valid passport. 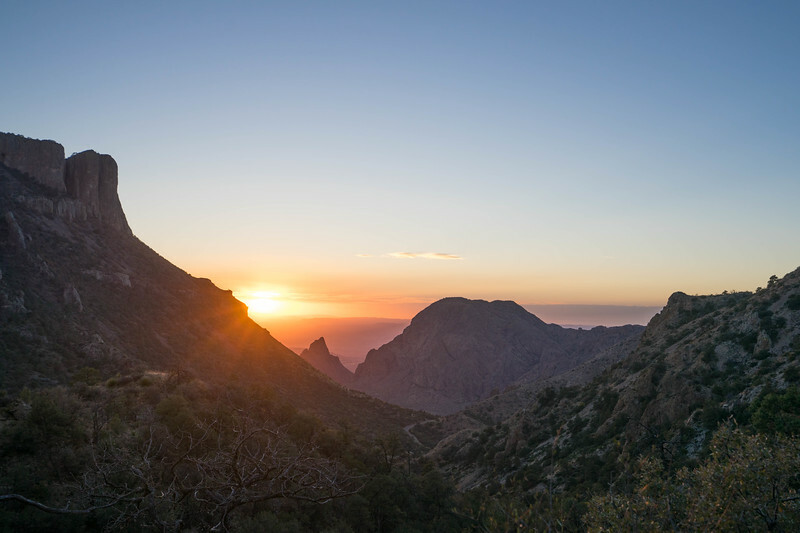 In the heart of Big Bend, there are several campsites located inside the park: Chisos Basin and Rio Grande Village are the two designated sites that take reservations. Or, if you prefer, you can also get a backcountry camping permit and set up your tent well off the paved roads. Alternatively, if you prefer to stay indoors, you can stay in a classic West Texas style motel in one of the nearby small towns. Terlingua is a popular area with a few affordable accommodations, but don’t expect anything fancy. There’s no doubt that Big Bend is a strange, exquisite, and rugged place. Nonetheless, exploring the beautiful, arid mountainous expanses of the park is an experience worth the painstaking process to get there. Perhaps, when you hear the breeze echoing through the Chisos Mountains, you, too, will feel the spirit and legacy of the park come to life. Kay Rodriguez is the head traveler and writer behind her site, Jetfarer, which aims to provide practical advice for exploring unconventional places for time-crunched travelers. You can connect with her on Instagram or Facebook. There is a small grocery store in the basin but most items run 30-50% higher than they cost in the smaller towns outside Big Bend. Also, during high season of spring and fall, reservations can be very difficult to get, especially at the Lodge. On January 2 each year, the phone line to Big Bend reservations is busy with those of us in the know calling for rooms during prime dates for the following year. The campgrounds are a bit easier to reserve and sometimes you can get lucky at the last minute that someone has cancelled. There is a gas station inside the park but it also runs higher than outside the park. Wow- that picture of the night sky is STUNNING. I, too, am trying to visit all like the National Parks and I didn’t know Big Bend should be closer to the top of my list! 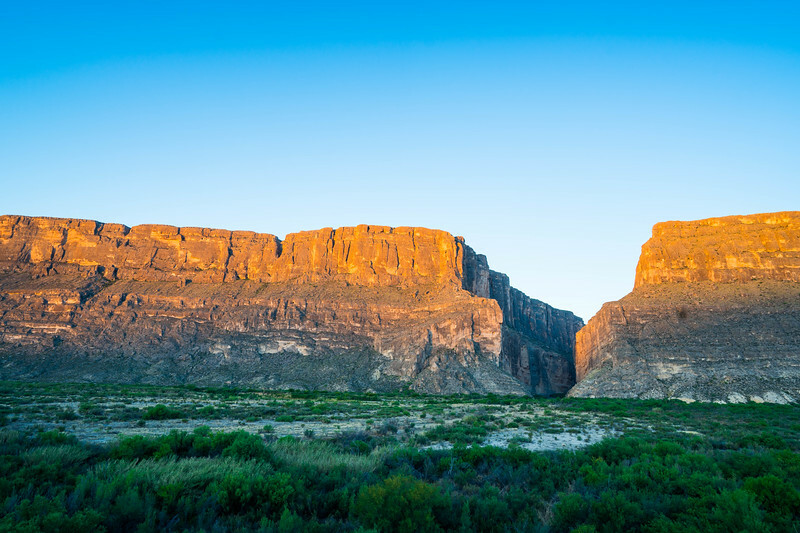 I keep hearing great things about Big Bend and have a few Texan friends who have visited recently and it looks like an incredible place.